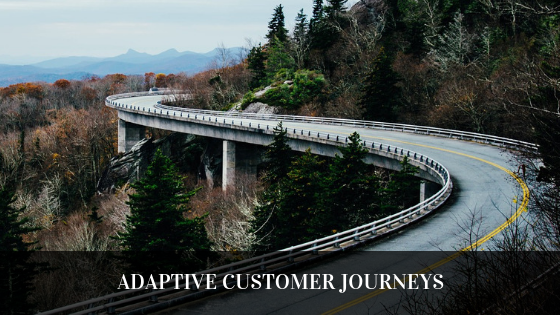 Adaptive customer journeys that optimize themselves to personalize the outreach for each individual lead or customer, will likely become a very big thing in the near future. One of the companies offering solutions for this is Act-On Software, and I got to interview Katie Jameson who is Head of EMEA Marketing at Act-On Software. 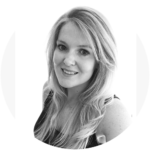 Over the past ten years, Katie has implemented, integrated and executed programmes on a variety of marketing automation platforms at companies such as Symantec, Paywizard, ResponseTap and now Act-On. 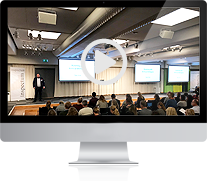 Act-On was created with the goal of making B2B marketing personalised and adaptive. 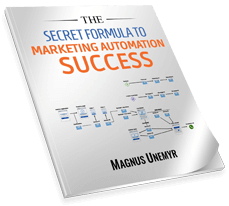 Founded in 2008 by Raghu Raghavan, formerly a founder of Responsys, Act-On might not have been the first software of its kind on the market, but has since outgrown many of its competitors and is currently one of the leading providers of marketing automation. Being a ‘second-wave’ joiner, Act-On was able to survey the current state of marketing automation closely upon entry into the market, and could apply learnings based on the shortcomings of the competition. Originally a ‘lead gen engine’, the business soon expanded its product range, leading the way in adaptive marketing by applying automation to all aspects of marketing from lead generation to retention. Since its founding, Act-On has undergone rapid growth and huge transformation in 2018. From its main headquarters located in Portland, Oregon, Act-On has recently expanded its offices downtown to Arizona as well as across the pond to the U.K.
What Problem Does Act-On Solve? Act-On helps marketers to streamline the direct marketing process and free up resources, automating customer segmentation, engagement and large parts of campaign reporting. What Does Act-On do, and why is it Important to Your Customers? The reality of marketing today is that brands need to adapt to customers’ unique needs at each stage of the buying journey, or risk losing business to competitors. 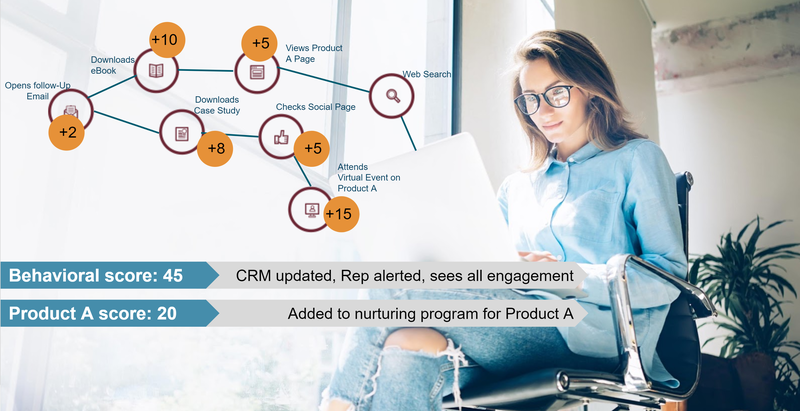 Act-On’s intuitive and integrated marketing automation platform is built to help marketers respond and engage at every step of the customer journey. It provides the insight needed to make data-driven decisions, resulting in a customer experience that’s both relevant and personalised. From brand awareness and demand generation to retention and loyalty, our technology gives companies a single workspace from which to manage all marketing programs. Act-On allows marketers to optimise every interaction a customer has with their brand, through a balanced combination of inbound and outbound marketing. This includes our Adaptive Journeys products, which use predictive, behaviour based intelligence to automatically adapt the message, the timing, and the delivery channel of communications for more customised engagements. Act-On provides easy to use landing page and form composers, so marketers can take control of their marketing campaigns and stop relying on web developers for content creation. They can also save time and respond faster with our automated webinar programs and integrations. With the platform, marketers can identify the most engaged prospects through lead scoring, help turn cold leads into hot opportunities by using its lead nurturing tools, segment leads in real time based on prospect interactions, and inform messaging strategy through A/B testing. Act-On integrates quickly and easily with CRM systems, making it simple to create a seamless handoff of qualified leads to sales teams, and to get lead intelligence and hot prospects prioritisation right within the CRM view. It also aids businesses in understanding customer engagement at the account level, and lets them target messaging with attributes unique to that account. With the email composer, marketers can send off personalised messages to customers and drive product adoption, upsell and cross-sell opportunities, customer satisfaction, and brand loyalty. Companies can maximise their brand message across more digital channels with our Advanced Social Media Module, drive more visitors to their website and monitor all interaction and touchpoints with our website prospector and SEO tools, and maintain brand consistency by having Act-On content available in the tools they already use, such as WordPress, Outlook, and Gmail. Measure efforts and prove ROI. Through Act-On’s reporting and analytics functionality, businesses can measure, optimise, and see marketing’s impact on business results with out-of-the-box reports. They can also easily export all of their engagement data for custom analysis. Customers use Act-On for its time to value, ease of use, customer support and pioneering active contact pricing. Our user friendly platform puts powerful marketing tools at their fingertips, making campaigns and programs easier and faster. With the direct marketing landscape becoming increasingly competitive and today’s customers demanding more and more personalisation, marketers need a solution that makes this process easy. That’s where Act-On can help. How Does Act-On use AI? Act-On Software is building an underlying architecture that supports consuming massive amounts of behavioural and profile data (from our system and others) in order to then leverage machine learning technologies to provide deeper insights, recommendations and even automatic actions performed to help marketers better drive their growth goals. To do so, the software follows a trail of ‘digital breadcrumbs’ each individual person leaves behind online. This trail consists of search terms, content consumption patterns, and other interest signals that have been consented for use. AI then takes this data and uses it to optimise communication with prospective leads or customers. Our system follows a three-step process of processing data to generate meaningful insights. These are then turned into real-time recommendations for marketers, and can be implemented as ‘automagic actions’ – automated actions taken by a an AI based system that are implemented in real time. 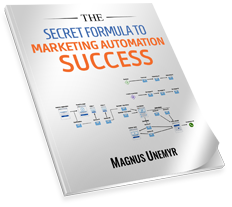 This underlying system is applied to three key areas of marketing campaigns: content, nurturing and leads. Machine learning can constantly analyse content to determine what is best received by the target audience. Act-On Software produces detailed insights on what performed best in campaigns and then offers marketers specific recommendations of what content they should use in campaigns. Our data-driven AI system then learns and makes automated updates to content to adapt to the target audience in real-time. Good nurturing is the key for marketing and CRM to help drive sales. Similar to content, AI can also be applied to the nurturing part of campaigns. It can be applied to monitors and evaluate how well specific nurturing efforts work and learn preferences and behaviours of different segments. This data is then processed to give marketers insightful recommendations on how they should nurture specific leads, and what the best messaging and channels would be to engage with them. Our fully integrated data-driven system can automate these processes and adapt nurture flows to the changing behaviour of the individual segments. Act-On Software also applies AI to lead scoring. Insight data then highlights top targets on their profiles and behaviours. AI can then process this data to determine which nurturing and generation activity should be scored greater or lower for individual leads. The data-driven system can then update scoring based on leads profiles and behaviours. Summarised, Act-On’s AI is used to refine and automate key processes, making it easier for marketers to sustain high levels of personalisation and ROI. With increasing demand for personalisation, AI will be integral for marketers to accommodate and become adaptive marketing pros. 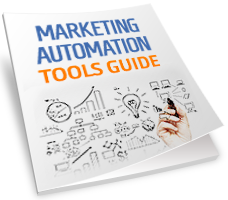 Leading away from simple email blasts to delivering effective multi-channel campaigns, marketers can already leverage AI to automate manual scoring processes, segmentation and adaptation efforts to drive conversions. By using machine learning to its full potential, marketers will be able to apply multiple scoring models, sync up and maximise adaptation for sales reps, and utilise real-time analytics to monitor campaign performance. With the benefits AI gives towards personalisation, it also increases the yield of real-time results. 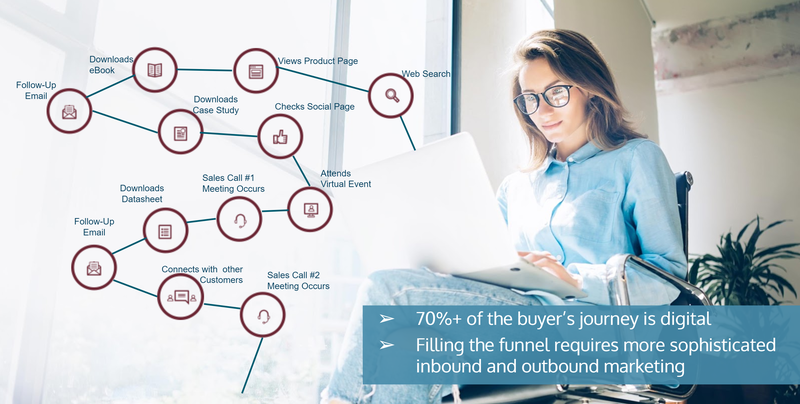 The velocity prospects can make their journey through the conversion funnel where AI prospers. Leveraging the power of AI, the increased level of personalisation adaptive marketing pros can bring to the consumer’s journey will create better value leads, and increase the number of conversions. A popular subject around AI in the media is self driving cars. But while many are talk about the glamour of using AI to let their car drive them, the true value of AI lies in the unique analysis capabilities of machine learning. For marketers, in particular, the true value lies in processing data and producing real time insights that can be converted to recommendations that can be implemented in real time to campaigns. While the magic of self driving cars put AI on the map for the general public, it will be the insight capabilities that will drive businesses forward in the future. Although AI is making fast advancements and is becoming more and more omnipresent in the marketing space, it will not replace marketers. Instead, AI will help marketers make their campaigns smarter and allow them to focus their time on making them more personalised. In a sense, it can almost be the hidden superpower in that respect. The human element, of course, will remain a key ingredient which will give marketing campaigns the final, personalised touch. AI is not the ‘be all and end all’ solution – it is an important tool that will help marketers run integrated campaigns and make better coordinated efforts with sales and customer service teams. But while super speed and exceptional strength may be superpowers from comics, they can easily become a reality with the use of AI. For example, predictive intelligence uses real time data analysis and adaptive scoring of specific marketing activities to give marketers speed and agility that is needed to keep up with the growing demand of personalisation. In the future, marketers and AI will be an amazing duo, akin to Batman and Robin, with one relying on the other. It will mean that marketers can cut down on lengthy and manual processes and can refocus their gaze onto creative elements and other engagement strategies. AI has an increasingly important role in business, and it’s safe to say that marketers will need to ensure there is a focus on Artificial Intelligence capabilities in the very near future. AI and machine learning look set to further cement their place in the industry, but that’s good news because the marketing sector will benefit from better insights and data based recommendations that AI can provide. Based on these recommendations, activities can then be scored higher or lower to adapt to the consumer’s needs, and systems like Act-On can then make decisions on the fly, based on behavioural data, and then implement ‘automagic actions’, allowing AI to be more reactive than manual scoring processes. In the years to come, marketers will be able to focus much more on the bigger picture of their campaigns and new creative engagement strategies. With AI and machine learning soon automating crucial and time consuming processes, they can focus on delivering KPIs. In this blog post, Katie Jameson presented interesting information on AI-based customer journey personalization.